The remote control gives you interactive possibilities, although not nearly as much as an HTC Vive/Oculus Rift/Windows MR set. The simplicity of this device really makes it attractive to schools. You can easily imagine a cart with 15 of these devices, including a charging system, which teachers can reserve for certain classes. In my opinion however, when comparing this device to other options, the disadvantages of this system generally outweigh the advantages, which is why we usually don’t recommend them as the sole VR system for schools. We have a lot of Oculus Gear VR headsets with Samsung Galaxy phones. We really like those, as the Oculus system has quite high-quality experiences and most importantly: everything just works. With the phone attached, a Gear VR is not that different from an Oculus Go. But the great thing is that you can use these phones in other ways as well. You can use them for regular apps, or perhaps some Augmented Reality apps. Or use them to control 360 cameras. And most importantly: you can also easily use the phones for Google Cardboard apps which is a much more open ecosystem. You just slide the phone into a Google Cardboard headset and you’re ready to go. Or we sometimes even do the trick below, where you don’t connect your phone to the Gear VR. Using a rubber band is recommended! 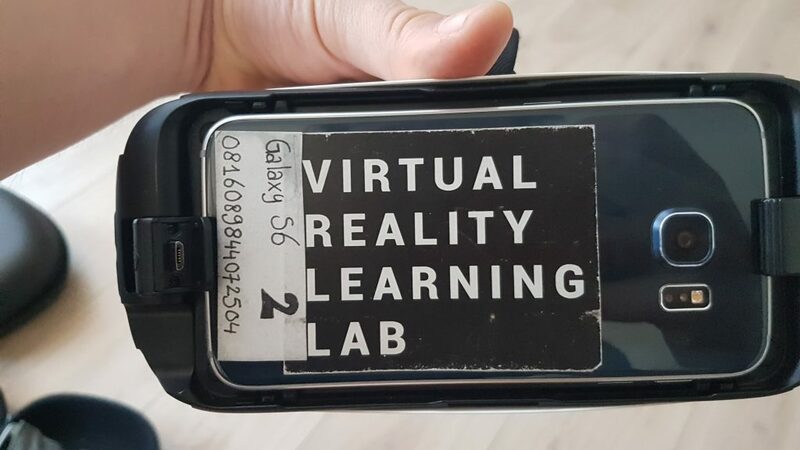 More experimental apps, or perhaps a VR experience that your students have created themselves, are usually only accessible from Google Cardboard. But also established educational apps like Google Expeditions are only for the Google Cardboard platform. And because of the competition between Google and Facebook, an app like this will probably never come to the Oculus Store. 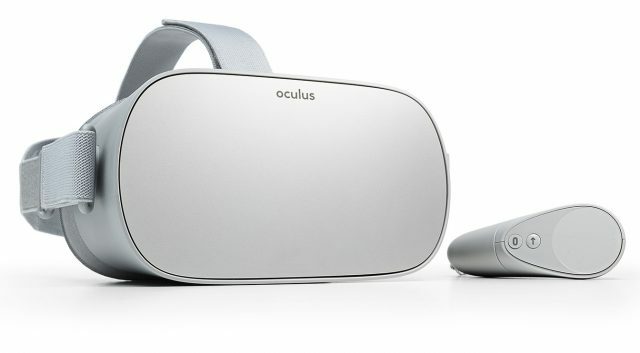 You just miss a ton of content when you choose for Oculus Go as your only system. CoSpaces Edu is an app we’re big fans of. And while CoSpaces does offer an app for the Oculus Go, our experience is that preparing everything for viewing students’ spaces on the Oculus Go, can be quite a hassle. Filling in passwords with a remote is just not very convenient. Focus on the content: what do you want to do? To better help you in this process, we’ve made a Virtual Reality Best Buy Guide for schools, based on the professional training we offer. Nederlandse nieuwsbrief: informatie over VR en AR als leermiddel en algemene updates VR Learning Lab. Internationale nieuwsbrief (Engels): informatie over VR en AR als leermiddel en updates over onze online cursussen.